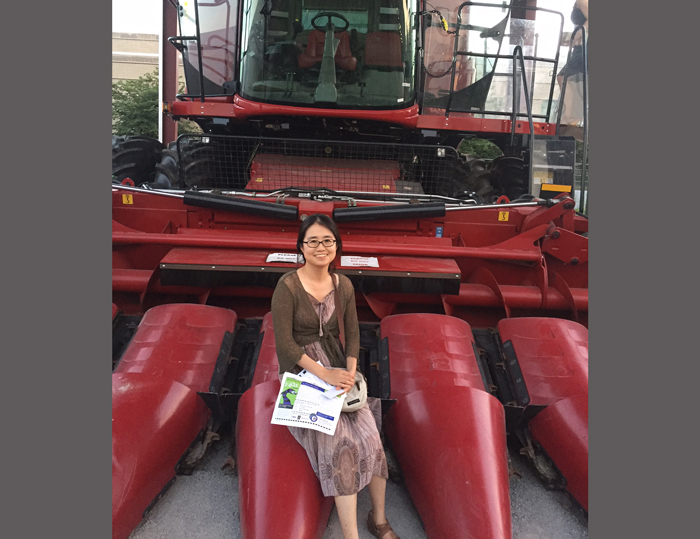 Young Wha Lee, Data Scientist at Monsanto, talks about searching for a career that bridges interests and gives joy, and how to approach industry jobs. “Data scientist” basically means anyone who works at the intersection of statistics and coding. I usually spend half of my time at my desk working through data analyses and have a few projects on the go at any given moment. For the other half of the time, I am in meetings. In industry, everything happens in teams, and we often have a high communication overhead. I may be pitching ideas, reporting results, consulting for other people’s projects, or attending internal workshops. There is a big social aspect of doing research in industry, which is very important. That is an incredibly valuable skill. There is a data scientist community of about 350 at Monsanto, and everyone has different strengths. Even though we all hold the same job title, some are strong software engineers or statisticians who may not know much about genetics. For that reason, you really need to be able to translate what you know to other specialists and communicate how you would like to work together. I think if you are someone who cares about effective teaching, it will help you in industry. A good teacher always thinks about the other person and how they will receive what you are going to say. Five years ago, did you see yourself in your current position? Why or why not? Five years ago I was starting to see myself working outside of academia. 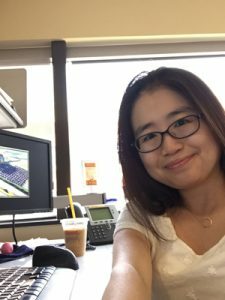 I was in the middle of my postdoc and starting to realize what the day-to-day of an academic position was like, and thought that I wouldn’t be the best academic. One thing that is non-negotiable for an academic is writing grants and publishing papers, and that is something I never got any joy out of. When I started to think about what would keep me going for 35 years, I became interested in international development and agriculture. I started considering getting into crop genetics about five years ago. One thing is that I keep learning new skills, such as improving my coding skills and learning new statistical tools. When you are in industry, you are the one responsible for a particular dataset and you are responsible for continuously teaching yourself how to do that effectively. The other thing that continues is mentoring and being mentored, and being able to continue building a community. Here, we have an informal group for women in science where we teach each other new skills and bounce ideas off each other. How does interacting with breeders and farmers add to your experience? It’s actually my favorite part of the job. I sit in front of a computer most of the time, and I don’t make anything. What I find really gratifying is working with people who actually make the lines, and trying to figure out how can I use my skills to help them in their job. When I am able to make a difference, it is really gratifying. What additional training did you wish you had during your grad/postdoc stage? Quick, easy answer: Lots of classes in statistics! What are the most important preparations you should make before reaching out to an employer? Know what kind of scientist you are. When you go on the job market and you know the intellectual and personal strengths you bring, and you feel ready to contribute in a unique way, it comes across in your application and in the interview. You want to present yourself as someone who has a point of view that is an outgrowth of your personal experiences. It’s also important to indicate on your application whenever you know someone who works in the company or have a referral. You can reach out to people you know at the company or have a connection to, or meet recruiters at conferences. There are big conferences where professional recruiters go, and if you are there, it’s important to talk to them and get a name. At smaller conferences, talk to the scientists and get a name. If you can include the name of a person in your application, or get them to refer you for a position, it makes sure that a person looks at your application. I have this position right now where I can use all my skills, including my scientific training in genetics and my softer skills in team building, mentoring, and facilitating others. It values every piece of those skills, and I feel like I am contributing, in a small way, to products that will make a difference in people’s livelihoods and that is connected to something bigger than my own career. It was really hard to get to this place where I feel so fulfilled. Academia is really hard to leave. It’s a great community, and it had been my whole working life up to that point. I would encourage people to think about what really motivates them, what they find fulfilling, and what they are really good at. At the intersection of those things, there is a job somewhere that you are a really good fit for. That kind of self-inventory is really important, but scary to act on. One thing that can help is to talk to people who are outside of the world of academia. In academia, everyone has relatively similar experiences and goals. Once you start talking to other communities about career options, then it will help you find the intersection that fits you best.